Start with a clean 16-oz. spray bottle. Pour in 1 1/3 cups white vinegar, 5 drops Dawn liquid dishwashing detergent and 2/3 cup distilled water. Apply the spray top and shake to mix. To use, simply spray on stainless steel appliances, wipe with a microfiber cloth or sponge to clean; rinse well then buff with a dry cloth to shine. Be sure to label this product clearly, as you do not want to use it on natural countertops of granite, marble or stone because it contains vinegar. You can spend upwards of $10 for a 16-oz. bottle of Weiman or 3M cleaner for stainless appliances, or make it yourself for lots less than a buck. This is a cleaning solution to be used in your Hoover SteamVac or other carpet cleaning machine. Into the cleaner’s reservoir, pour 1 cup Febreze, 1 cup liquid OxiClean Laundry Stain Remover and 1 cup white vinegar. Add hot water to the fill line. This is the solution I use in my Hoover SteamVac for challenging situations, like EC Central that get a lot of traffic. Once I’ve cleaned the carpet thoroughly I fill Hoover with clear hot water and go over the carpets again to rinse. This homemade solution should not leave residue on your carpet fibers (I rinse just because I’m especially paranoid about removing all residue) and will not cost a fortune to shampoo the whole house. Carpet cleaning solutions can be expensive. 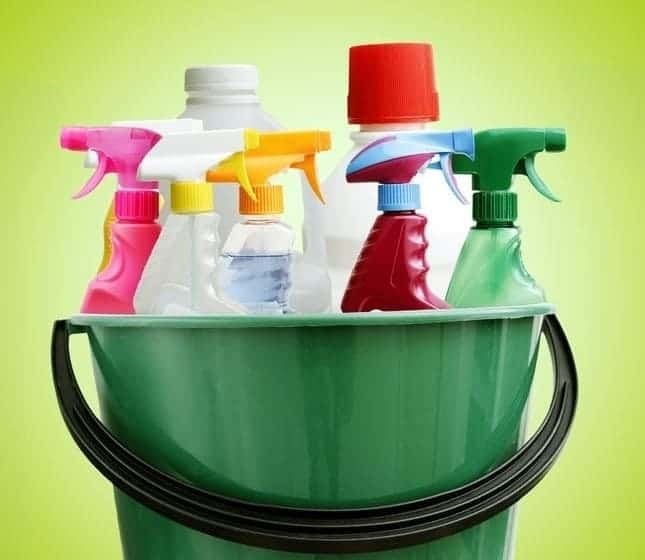 A small bottle that normally cleans one to two rooms is approximately $15 to $20. Making this recipe should cut that cost down to $5 or less if you get the ingredients on sale.